The period from 1674 to 1913 witnessed the transformation of policing in London from a system that relied on private individuals and part-time officials, through the development of salaried officials and semi-official "thief-takers", to a modern professional police system. In the process the mechanisms by which the people tried at the Old Bailey were identified and apprehended was radically transformed, and ultimately brought under the control of the state. Throughout the period 1674 to 1829 many victims of crime were able to identify and apprehend the culprits before contacting a constable or a justice of the peace to secure their arrest. Those who witnessed a felony were legally obliged to apprehend those responsible for the crime, and to notify a constable or justice of the peace if they heard that a crime had taken place. Moreover, if summoned by a constable to join the "hue and cry", inhabitants were required to join in the pursuit of any suspected felon. Although these legal obligations were rarely enforced, Londoners continued to help apprehend suspected criminals. As the Proceedings frequently illustrate, cries of "stop thief!" or "murder!" from victims often successfully elicited the assistance of passers-by. This sense of individual responsibility for law enforcement was eroded over the eighteenth century, however, as increasing numbers of men were paid to carry out this task. For example, victims frequently paid thief-takers to locate and apprehend suspects. Moreover, the difficulties the authorities had in identifying and apprehending criminals led them to offer rewards to those whose arrests led to the conviction of serious criminals, and pardons to accomplices who were willing to turn in their confederates. Increasingly, ordinary Londoners left the task of securing criminals to people who were motivated to do so by the prospect of financial or other rewards. Constables were required to apprehend anyone accused of a felony, and bring them before a justice of the peace. They also had a general responsibility to keep the peace, but there was no expectation that they should investigate or prosecute crimes. Night watchmen patrolled the streets between 9 or 10 pm until sunrise, and were expected to examine all suspicious characters. In the City of London, daytime patrols were conducted by the City Marshall and the beadles. Like the night watch, their primary responsibilities were to apprehend minor offenders and to act as a deterrent against more serious offences. Over the course of the eighteenth century, however, the arrangements by which men served as constables and watchmen changed significantly, in ways which altered how felons were detected and apprehended. Traditionally, householders served in the office of constable by appointment or rotation. During their year of office they performed their duties part-time alongside their normal employment. Similarly, householders were expected to serve by rotation on the nightly watch. From the late seventeenth century, however, many householders avoided these obligations by hiring deputies to serve in their place. As this practice increased, some men were able to make a living out of acting as deputy constables or as paid night watchmen. 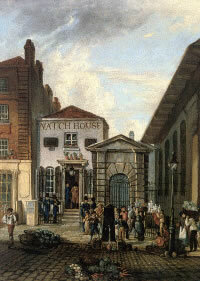 In the case of the watch, this procedure was formalised in many parts of London by the passage of "Watch Acts", which replaced householders' duty of service by a tax levied specifically for the purpose of hiring full-time watchmen. Some voluntary prosecution societies also hired men to patrol their areas. The advent of salaried constables and watchmen meant that several characteristics of a modern police force were already present in eighteenth-century London. The streets were regularly patrolled by men whose job it was to prevent crime and arrest suspects. These men walked regular beats, and some wore uniforms. The evidence from the Proceedings suggests that men employed in these roles increasingly spoke self-consciously in terms of their “duty”. While they were more experienced than the part-time householders they replaced, because they were low paid and the job was of a low status, they were not necessarily more respected or more effective. Indeed, there were concerns that some paid watchmen and constables developed too close a relationship with the underworld they were supposed to police, and many believed that such officers were corrupt. This was especially true of those officers who became, or were linked to, the practice of thief-taking. Concern about high levels of crime in London in the late seventeenth century led the government to adopt the practice of offering substantial rewards for apprehending and convicting those guilty of specific serious crimes, such as highway robbery and coining. This practice expanded in the eighteenth century, and was supplemented by individual victims of crime who offered rewards for the return of their stolen goods. Both practices were facilitated by the development of daily newspapers in the early eighteenth century, which allowed information about such rewards to be widely advertised. The introduction of these financial rewards fundamentally altered the character of criminal justice in the metropolis. Thief-takers used their knowledge of the criminal underworld to profit from both types of rewards. They negotiated between thieves and the victims of thefts to return stolen goods in exchange for a fee. They also occasionally used their insider knowledge to inform on criminals and prosecute them at the Old Bailey in order collect the substantial rewards offered by the state. This second activity arguably facilitated the administration of criminal justice, but the more corrupt thief-takers went further: they blackmailed criminals with threats of prosecution if they failed to pay protection money. Some even became "thief-makers" by encouraging gullible men to commit crimes, and then apprehending and prosecuting them in order to collect the reward. Such practices illustrate the point that not all "crimes" prosecuted at the Old Bailey had actually taken place; some prosecutions were malicious. The man who most thoroughly developed all aspects of the thief-taker's trade was Jonathan Wild, the self-styled "Thief-taker General of England and Ireland", who dominated London's criminal underworld in the early 1720s. Wild was eventually tried and convicted at the Old Bailey for receiving stolen goods and hanged in 1725. Many other prosecutors and witnesses in the Proceedings were also thief-takers, though they were rarely identified as such, except by defendants trying to discredit the case being made against them. 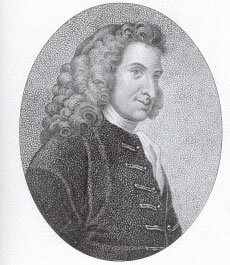 Henry Fielding, magistrate and novelist. © Mark Herber. Despite the bad publicity surrounding Wild's activities, and those of the McDaniel gang at mid-century, the authorities continued to offer rewards and encourage the legitimate side of thief-taking. Without such rewards and the activities of the thief-takers apprehending criminals would have been much more difficult. In order to encourage victims to report crimes, magistrates in both the City of London and Middlesex established "rotation offices" in the 1730s where Londoners could be certain of finding a magistrate at fixed hours. One of these rotation offices was set up in Bow Street, near Covent Garden, by Sir Thomas De Veil in 1739. This was taken over by Henry and John Fielding in 1748 shortly after De Veil’s death. The Fieldings introduced a new practice by hiring thief-takers on a retainer who, when a crime was reported, were sent out by the magistrates to detect and apprehend the culprit. They became known as the “Bow Street Runners”, though the men themselves preferred their official title of “Principal Officer” of Bow Street. 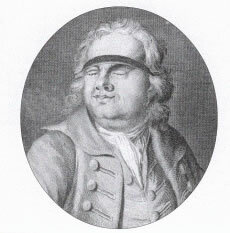 These men, such as John Sayer and John Townsend, acquired considerable reputations. They also made a comfortable living out of the fees they charged for their services, the rewards they received from victims for identifying suspects, and the rewards from the state for successful convictions. John Fielding, magistrate. © Mark Herber. The aim of this new system was to deter criminals by increasing the certainty that they would be detected and prosecuted. By supervising their activities, the Fieldings hoped to improve the reputation of thief-takers, who they believed were essential in the fight against crime. 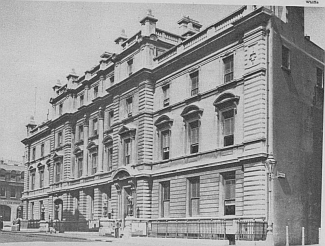 In order to improve the detection rate the Fieldings introduced other innovations: they collected and disseminated information about crimes and suspected criminals, making their Bow Street office the centre of a criminal intelligence network; and they organised horse and foot patrols of major roads by part-time paid constables in order to prevent robberies and other serious crimes. The Fieldings' approach to thief-taking proved influential, and their runners frequently appear in the Proceedings. More rotation offices were set up in Middlesex and Westminster. In 1792 the Middlesex Justices Act created seven police offices in the metropolis, each with three stipendiary magistrates and six constables charged with detecting and arresting criminals. In 1800 concern about thefts from the docks and shipping led to the opening of a Thames Police Office at Wapping, which eventually employed three stipendiary magistrates and one hundred constables to police the dockside parishes and the river. 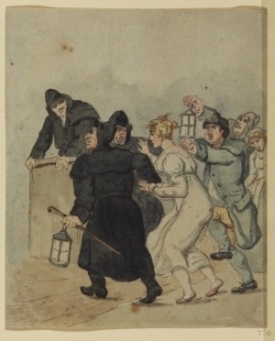 'Arrest of a woman at night', Thomas Rowlandson, c.1800. © Courtauld Institute of Art Gallery, London. 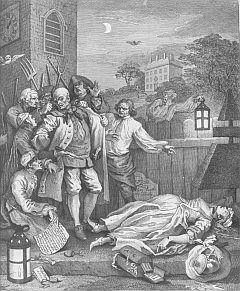 By the end of the eighteenth century London already had both a substantial body of watchmen who were employed to prevent crime, and a system of detective policing designed to play a major role in apprehending suspected criminals. The first response of victims of crime was now as likely to be to report the crime to a rotation office as it was to try and locate the offender themselves. In contrast to the start of the century, many of the defendants who appeared at the Old Bailey had been detected and apprehended by salaried officers or quasi-official thief-takers, and the testimony of such people formed a significant part of the Proceedings. This altered the character of the criminal trial. Lawyers for the defence (when defendants were able to afford them) frequently questioned the honesty of such witnesses since they stood to receive a financial reward if the defendant was convicted. In the first decades of the nineteenth century attempts to combat crime focused on the prevention of crime, as opposed to the detection of criminals. New horse and foot patrols were introduced both at night and during the day, with the men involved frequently referred to as "police". Efforts to rationalise and further extend London's system of policing culminated with the passage in 1829 of Robert Peel's Metropolitan Police Act. This set up a centralised police force of 3,000 men under the control of the Home Secretary, with responsibility for policing the entire metropolitan area, except the City of London. 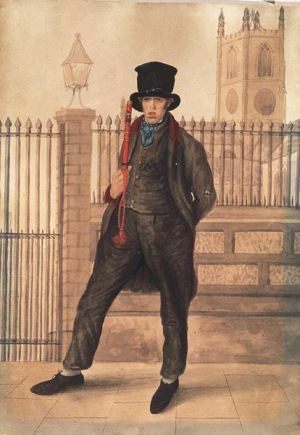 Uniformed and carrying only wooden batons, the new "Bobbies" (referring to Robert Peel’s Christian name, and the most polite of the many nicknames the officers received) patrolled the streets on prescribed beats. It was expected that the frequency of their patrols would significantly reduce the opportunities to commit crime. 'Policeman, Scarborough', c. 1830, by William Dempsey. In many respects the only really novel aspect of the Metropolitan Police was its centralised control by the Home Secretary. Nevertheless, the new arrangements placed much greater weight on the prevention of crime (with detection left to the constables who continued to be employed by the stipendiary magistrates). The impact of the new police on the Proceedings should have been to reduce the number of trials coming to court. There was, however, no such reduction, which suggests that the advent of the Metropolitan Police was not as momentous a development as has sometimes been claimed. Furthermore, in some of the wealthier parishes the number of police officers patrolling the streets immediately after the Metropolitan Police Act was in fact lower than the number of watchman patrolling those same streets before 1829. Even after the creation of the Metropolitan Police the role of the individual victim remained central in identifying offenders to the authorities and prosecuting them. It was only very gradually that the police assumed full responsibility for prosecuting offenders. Nevertheless the state invested enormous faith in its new police. In 1839 a second Metropolitan Police Act confirmed the institution’s continuing existence, extended its jurisdiction from ten to fifteen miles from Charing Cross and increased its establishment to 4300 men. The Act also abolished the post of constable in the employment of the old magistrates’ offices. At the same time another Act created a similar police organisation for the square mile of the City of London. The preventive policies of the New Police probably had a significant impact reducing minor public offences such as drunkenness and street fighting – the kinds of offences that were heard before magistrates rather than at the Old Bailey. But it soon became apparent that a detective force was needed to work in conjunction with the uniformed, beat patrol officers. Authority was given for the creation of a distinct detective force within the Metropolitan Police in 1842. The new detectives were lionised by writers such as Charles Dickens, who thrilled at experience of going on patrol with Inspector Field. But, as the Proceedings demonstrate, it was not Dickens’s Inspector Charles Frederick Field who gave evidence time and again at the Central Criminal Court in the 1830s and 1840s, but John Field, Inspector of Coins at the Royal Mint, who appeared regularly, contributing to the prosecution of coiners. Moreover in 1877, the Metropolitan Police Detective Department acquired the unenviable distinction of having several of its leading figures appear as the accused in what was, at the time, the longest trial ever heard at the Central Criminal Court. The Turf Fraud Scandal resulted in a complete reorganisation of the Metropolitan Police Detectives and the formation of the Criminal Investigation Department (CID), initially comprising around 250 men out of a force of just under 10,000. Bow Street Police Court as rebuilt in 1881, from St. John Adcock, Wonderful London (1926/7), vol. II, p.763. By the turn of the twentieth century the CID could claim to be modern and scientific in its pursuit of offenders. The Proceedings contain the cases of the first use of fingerprints in a successful prosecution (Harry Jackson for burglary in 1902) and the first use of fingerprints to secure a murder conviction (Albert and Alfred Stratton in 1905). But on the eve of the First World War, when the Proceedings ceased publication, the overwhelming majority of police officers were still uniformed men, patrolling specified beats. Moreover a high percentage of the crimes brought before the Central Criminal Court continued to depend not on careful police detection or even on the vigilance of the beat officer, but upon victims reporting crimes to the police and upon victims and witnesses making positive identifications. What had changed most dramatically since 1674 was the introduction of uniformed, salaried officials, controlled by the Home Office, with the responsibility for tracking down suspects and making arrests. 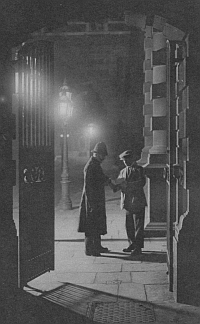 A plain clothes officer and a uniformed officer at the entrance to Scotland Yard, from St. John Adcock, Wonderful London (1926/7), vol. III, p.932. When searching by keyword it is useful to add the * wildcard after the main letters of a word to account for plurals and some variants. For example, searching by Peeler* will find all incidences of Peeler and Peelers.